After colonel Andrew Cash, Aviation Commander 16 Air Assault Brigade, delivered his speech "UK Attack Helicopter Force: 8 years of service and beyond" on November 20, the press has suddenly remembered that the Apache is due to undergo a Capability Sustainment Program (CSP), and we have all learned that the Army Air Corps pretty much expects to be told that only a part of the helicopters will be upgraded, meaning that the Attack Helicopter force will shrink. Colonel Cash reportedly outlined his planning option, that sees a reduction of two squadrons, from 7 (1 Conversion To Type training squadron and 6 frontline squadrons in 2 regiments) to a force of 4 frontline squadrons in two regiments plus a combined Conversion To Type and Operational Conversion Unit squadron. The SDSR document released in October 2010 promised that all 67 Apaches would stay as part of Future Force 2020, even if only in nice "factbox" released separately to highlight the services' capabilities. The main SDSR document, to be fair, does not delve in numbers: an old, easy trick to hide the uncomfortable truths. The ARMY 2020 briefings said that the Attack Helicopter Force structure would stay "largely unchanged". The government now says that the number of Apache helicopters to be upgraded and retained in service will not be decided before the AH CSP Main Gate, planned in 2014. The same government that released the SDSR documents promising no reductions in the Apache force, notably. We can only hope that common sense wins and all Apaches are retained. The number of airframes available has already decreased by one to 66, as an helicopter badly damaged by an hard landing in Afghanistan in 2008 has been written off, as it was deemed uneconomical to try and repair it. The six frontline squadrons were once expected to be distributed in 3 Regiments, each with two Apache and one Lynx squadron. 9 Regiment Army Air Corps was the first to become operational with the Apache, but it was soon decided to remove the Apache squadrons from 9 Regt and concentrate all of them in 3rd and 4th Regiment, both based at Wattisham. 9 Regiment ended up becoming an "all-Lynx" formation. The entry in service of such a complex machine was difficult, and it was also hurried by the need to contribute to the Afghan effort, so that there were some serious teething problems at first: for a while, 19 brand new helicopters were mothballed due to the insufficient number of trained crews. The provvision of spare parts was also a problem at first, with 10 machines cannibalized to supply parts to the helicopters in the forward fleet, but with time, the Apache force has become efficient and deadly. The force is supported by the 7th Battalion REME, with its 3 Aviation Support Companies (71, 72 and 73) which rotate in and out of Afghanistan, and by the 132 Squadron Aviation Support, RLC. Since 2006, when the brand new Apaches deployed to Afghanistan for the first time, the attack helicopter force has been hard at work to sustain a constant, high-in-demand presence in theatre, provide support to major pre-deployment training exercises in the UK, and to provide a Contingency capability, capable of deploying at short notice, including on ships, as happened for the Libya conflict last year. Accordingly, the two regiments take turns in and out of Afghanistan. The deployed regiment, known as "Operational Regt" is responsible for the Afghan operations for a period of 12 months, during which all three of its squadrons deploy, for 4 months each. The Apache, in fact, operates under Joint Helicopter Command, and uses the harmony guidelines the JHC has adopted from the RAF's Chinook force. Army soldiers normally deploy for six months, in fact, and the Apache crews initially did so as well. The Regiment remaining in the UK is known as "Supporting Regt" and it normally provides helicopters and crews for training exercises on the Salisbury Plain and elsewhere, roling one squadron as Operational Conversion Unit and tasking it to prepare the crews for action in the field. This includes preparation for service aboard Royal Navy vessels: the Supporting Regiment provides the Contingency capability, and in the last years this has more and more meant being able to provide crews and machines ready to deploy on ships as well as on land. Naval operations, however, require significant amounts of additional training and qualification courses for the crews. The main additional programs the crews have to face are the Embarked Forces Sea Survival Course (EFSSC), the Air 226 course and the Helicopter Underwater Escape Training (HUET). The CSP is necessary mainly because the US Army is moving on: the AH64D Apache Block I, which is the base of the british model, known as WAH64D Apache AH.1, will be gone from the US Army's arsenal by 2017. The US are in fact upgrading all their Apaches to the Block III standard, and building new ones in addition. The Block I helicopters will not be there for much longer, and without the american helicopters, the UK will be nearly alone on the Block I boat, also because the other customers of the Apache are trying to get new Block IIIs or upgrades for the machines they already have. Saying that the british helicopters will no longer have logistic support and maintenance is, i think, excessive. Indeed, Colonel Cash said that one option at hand is "doing nothing". Boeing and AgustaWestland, in the case, will continue to provide support for the british Apache fleet, but it will end up, inexorably, being more expensive as the UK remains alone requiring and buying certain kind of services and parts. In addition, if the UK does not follow the evolution of the Apache now, it will eventually have to fund even greater changes and upgrades later on, or fund a national approach to obsolescence removal and capability insertions. Costs will inexorably increase, and the Apache will age "faster", seeing its operational capabilities reducing and finding itself in difficulty during joint operations. It must also be noted that the Apache has indeed some shortcomings that the Army Air Corps would like to remedy to. Increasing the communications capabilities of the platform, for example. It has been reported that Apache pilots use to bring satellite telephones with them in the cockpit to phone the MOD in London, and have their call re-broadcasted to relevant users in Afghanistan, due to the limits of Line Of Sight radios between the mountains of the area. Increasing the capability of the Apache to communicate and share imagery and data with ground and air assets is a serious requirement. It is not a case that the Block III upgrade includes fitting Satellite Communications, radio improvements and introduction of the Data Link 16. It has also been pretty widely known that the british Apaches, which were fitted with the Rolls Royce - Turbomeca RTM322 engines, much more powerful (19 to 20% more power, reportedly) than the original US engines, cannot fully exploit in full the extra power since the drive system and gearbox were not modified accordingly. This means that, despite the much more powerful propulsion that allows british Apaches to fly in Afghanistan with their Longbow radar on top while american Apaches had to remove it to save weight and cope with "Hot and High" conditions, rolling (and not vertical) landings are still the norm. The Block III addresses the lack of power of the US-powered Apaches by adopting the newer, much more powerful General Electric T700 - 701D, which delivers even more power than the RTM322 (i tried finding clear data to make a comparison, but the power outputs quoted on the various documents vary significantly). More importantly, the Block III upgrade adds to the change of engines an upgraded drive systems including a split-torque face gear transmission, making all of that power exploitable in full. Again, the rotor blades are being replaced with new, improved ones in composite, which have a major part in using the engine's power in the best possible way, helping to give the Block III dramatic improvements in payload, cruise speed and climb rate. The targeting optics were recently replaced on both US and British machines, with the adoption of the Arrowhead system, but the Block III includes significant upgrades to the radar. And, of course, there is a variety of improvements and removal of obsolescence in the electronics. Importantly, an open systems architecture is rolled in, to make easier and faster to integrate new systems or replace parts. Embedded diagnostic sensors are added to help groundcrews deliver effective maintenance and improve availability. Wideband network communications for high-bandwidth networking, and better data-fusion of inputs coming from the various sensors are also part of the improvements. The Block III introduces the possibility to swap the radar for an Unmanned Aerial Systems Tactical Common Data Link, which is mounted in the same place. The helicopter loses its own radar, but gains the possibility to control unmanned aircrafts in flight in the same airspace: the Apache crew will be able to fly drones ahead of itself, use them to detect and designate targets, receiving imagery and data on the cockpit's screens. The UK was pioneering this kind of operations already a few years ago, with a Tornado GR4's rear seat station modified to allow the WSO to control up to 4 unmanned aircrafts. The US are paying 16 million dollars per each existing Apache that is rebuilt to Block III standard. Not cheap, but building a whole new helicopter is a 40 million affair. Why is it complex for the UK to go Block III? The main complexity is that budget is tight. But aside from the obvious, the problems come, ironically, from the strenghts of the Apache AH.1: the british helicopters are not entirely like the AH64D Block I of the US Army. The british helicopters are fitted with Bowman radio compatibility, with RTM322 engines and with folding rotors. Significantly, the british Apaches were wet-sealed to better resist corrosion in maritime environment and other changes, all the way to different windscreen wipers, modified, again, to better accommodate the secondary "naval" role of the helicopter. The US Army Apache haven't got such a naval role, as the US Marines have their own helicopter fleet with the Cobra. So, for the UK, approaching the Block III upgrade is not so straightforward. 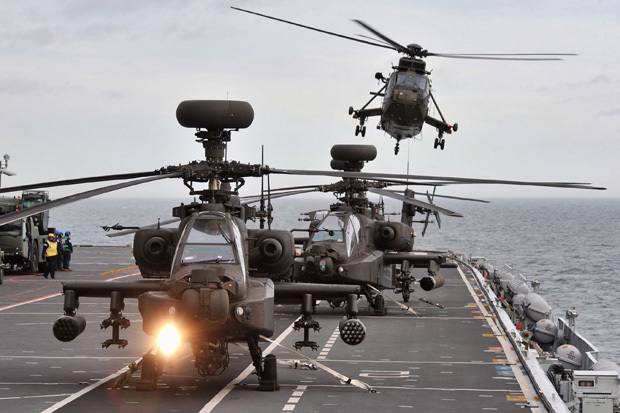 The British Army knows that the "naval" role of the Apache is getting more and more important, so whatever upgrade takes place must not forget the challenges of operating at sea. One of the biggest questions at hand must be what to do with the engines. Move to the new US ones, or stay with the RTM322? The RTM322 is, as we said, a powerful engine, and it is also used on the Merlin helicopters fleet, so there is a commonality advantage that would be nice to maintain, in addition to the fact that sticking to the same engine, with logistics already in place, would save a lot of money. Can the engine provide enough power for the new, upgraded machine? Is it compatible with the upgraded drive system adopted by the americans? Can the new drive finally exploit all of the power available? These are some of the questions at hand, and my feeling is that the British Army will want to stick to the RTM322 if there's a reasonable chance to do it. As for the rotor, there might be a british way to follow: the Army Air Corps has already had talks with AgustaWestland regarding the adoption of a variant of the BERP IV (British Experimental Rotor Programme) blade on the Apache. The BERP IV is a particularly advanced rotor design which has already been rolled onto the Merlin helicopters, generating a growth of 10 knots in cruise speed and a 650 kg increase to payload capacity, proving that the rotor alone can make a lot of difference. Besides, the BERP IV introduced much greater resistance to hostile, extreme environment: it lasted 195 minutes during sand-blasting tests, against just 39 minutes for the legacy rotor blades used on the Sea King HC4. This has a dramatic impact on maintenance and availability of the helicopter in places such as Afghanistan. The British Army might not want / need to immediately fund the purchase of the Unmanned Aerial Systems Tactical Common Data Link. The british army is not going to have as many unmanned aircrafts in the air as the US Army, and there might be little interest in giving direct control to the Apache crew. I think the Army will not want to spare efforts on expanding communications capabilities, instead. Data Link 16, radios and satcoms will, i think, feature high up on the list of the Needed. In general, the software and electronics aspect of the helicopter will be the ones most affected by the upgrade, i think we can safely assume. The British Apaches are then faced, as we already said, by the challenge of operating at sea, and much more frequently, in the future. The Apaches that were used over Libya (ZJ207, ZJ188, ZJ179, XJ233) fared well, but at their return they showed abnormal levels of corrosion, underlining once more how truly hostile the maritime environment is. The airframes remain absolutely operable, but they will require additional maintenance, to say the least. More relevantly, the Army Air Corp has made clear that the Apache (which is only very mildly "navalized") needs some more mods to be able to truly work well on ships. Last July it emerged that the AAC is in the assessment phase to fit flotation equipment to increase safety when operating over water, in a welcome answer to the warning launched by Lt Col Paul Tennant, commanding officer of the 3rd Attack Regiment after the Libya experience: as they currently are, Apache helicopters falling into the water would "sink like stones". Flotation devices, along with an hoped-for new canopy jettison system, would dramatically increase the now slim hopes of survival for an unfortunate Apache crew ditching into the sea. A more powerful rotor brake is needed, as the current one struggles against the high winds found quite often on the deck of a warship, and an I-band transponder is required to make it easier for the crew to navigate its way back to the warship. Increasing battery life was also reported as a serious need, since an Apache has now only about 6 minutes of flying time in case of total electrical system failure. These particular requirements, needs and shortcomings are due to specific UK needs and doctrine of employment, so these problems would in no way be solved by just going Block III. My expectation is that the UK is likely to adopt a partial Block III standard, enhanced with a number of british-specific additions. Probably not part of the CSP itself, but on the way in the not-so-far future, is the replacement of the US missile that currently is the Apache's main weapon: the Hellfire is expected to be out of service by 2021 or 2022. It is likely that the army's Apaches by then will begin using the Brimstone missile already used by the Royal Air Force's jets. In the specific, minister Peter Luff provided a hint in a Written Answer on 10 July 2012, saying that the "successor to Brimstone" will be an option. He names, specifically, the SPEAR Capability 2 Block 3: this is relevant, as SPEAR Capability 2 focuses on Brimstone, improvements and evolution of it and, eventually, its replacement with a new 50 kg-class missile. Next year the RAF should get the first Brimstone 2 missiles, and these are the Block 1 of the Capability 2 segment of SPEAR (Selective Precision Effect At Range), so the MOD seems to expect a further evolution (Block 2) of this very successful missile in the next few years, before the replacement (Block 3) arrives. It must be noted that the Brimstone itself is meant to be suitable for helicopter launch, as well as surface launch (both ground-launchers and vehicles and from ships), but the UK so far has not spent money to integrate the missile on any helicopter, nor on drones: the RAF's Reapers themselves are using Hellfires themselves. In the future, however, this should change, with Brimstone/Brimstone Successor finding its way on all platforms. In the US, they have a similar ambition with the Joint Air Ground Missile (JAGM), which has risked being cut but is now going ahead. One of the missiles proposed to become the in-service JAGM is a derivative of the Brimstone itself. The Army will deliver its review of AH CSP options to ministers early next year. From there, decisions will start to actually take place, and the budget that will be effectively available will determine the number of machines, and thus the number of crews and squadrons. A budget for the AH CSP has been promised as part of the Core Committed Defence Budget, and confirmed in the 2012 MOD budget planning cycle. It is to be seen how much money that will be, though, and it will be fundamental to see how much money the army will have to run the Attack Helicopter Force in the future. As for the Telegraph's suggestion that the Apache force would be scrapped entirely, it was never anything other than an idiocy. This afternoon, while i wrote this piece, i followed the hearing of General Peter Wall in front of the Parliamentary Defence Committee and he was asked if the "fine butchers" that the Apaches are have a future or not. Wall confirmed that they definitely have a future, plus an upgrade and more frequent naval missions ahead of them. The question is on numbers. The fear is that they won't be 66. The Main Gate is expected in 2014, and entry in service of the upgraded helos should happen around 2017. I will keep the matter under close watch, as much as possible, and i'll keep reporting about it. Hi Gabriele thank you for such an informative article. It is hard to accept the ever shrinking UK forces. I am particularly interested in the Royal Navy and your blogs on the QE class, Type26, CB90, MARS etc are very informative. However the Apache provides a great capability for the Army & Navy so whilst shrinking troop numbers the UK should focus on retaining attack helicopter numbers as well as transport capability with the Chinook. Your earlier article on Nov23 stated that 2 Squadrons will retire,a loss of 16 helicopters, reducing the fleet from 66 to just 50. At approx £10m per plane the upgrade cost is between £500m-£660m and the work would be done in the UK. I hope 'Colonel Cash' can persuade the Govt to provide the funds to keep them all. I sadly predict/fear that the upgrade will go forward (of course the idea of scrapping Apache entirely was nothing more than idiocy) for quite a few less airframes than the current 66 in service but that expectations on the strength, capabilities and tempo of operations will remain the same. Do more with less seems to be the way things are inextricably moving. I thank you both for reading and commenting. I always welcome your imput. Before colonel Cash's words, i will admit, i never really thought about the possibility of a reduction in the Apache force: it has proven just too popular, too precious, too high in demand. I thought that would help preserve it. Besides, helicopters have been (for very good reasons) a red-hot matter for years, and now that things are improving (more Chinooks, albeit not so many more as once promised, Puma and, hopefully, Merlin HC3 transfer to CHF) in terms of transport, to hear that a reduction in the attack force is on the cards makes really no sense. But of course, i was forgetting that common sense does not really live on into defence planning these days. I still try to be confident, however, and i'm hoping for the Army to fight to the very end on the Apache front, while, perhaps, accepting some compromises on the Block III upgrade, like with engines and such. If the engine change can be avoided, that already saves a real lot of money. Let's hope for the best, that's all we can do for the moment. It is indeed an improving situation on the transport front, well stable at least. When can we expect the new Chinooks in service, I thought it was around now? The HC6 Chinooks will arrive from late 2013 and during 2014. Puma will return to service in the new year. Great post. I really like the Apache. Thanks for sharing. FYI. 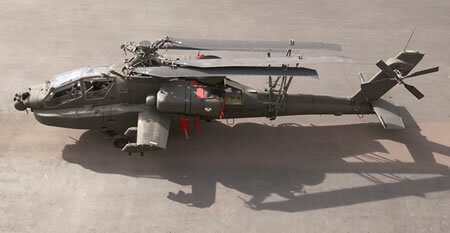 AH-64D Block III has been re-designated as AH-64E to reflect the significance of this latest upgrade. I heard a rumor that AAC is considering early retirement of Apaches and replace them with Eurocopter Tiger. Or least this is one of many options on the table. Any comments? If it ever was an option put forward by someone, the Army said "definitely no". As everyone is saying, the MOD plans to go ahead with the Apache, and do an upgrade on the fleet.